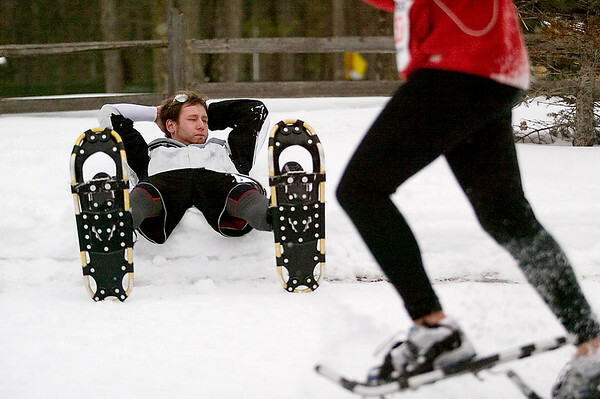 Justin Baloh, of Howell, watches other finishers of Saturday's Bigfoot 5k and 10k Snowshoe Race at Timber Ridge. Baloh's race was his first time ever in snowshoes. "First time I've ever seen them in person," he said.